The Isle of Tiree is a beautiful but fragile place. Our remote rural community is constantly challenged by a need to balance the interests of recreation, tourism, traditional crofting practices and conservation. Tiree Community Development Trust (through Tiree Ranger Service) are at the forefront of efforts to manage these relationships positively. 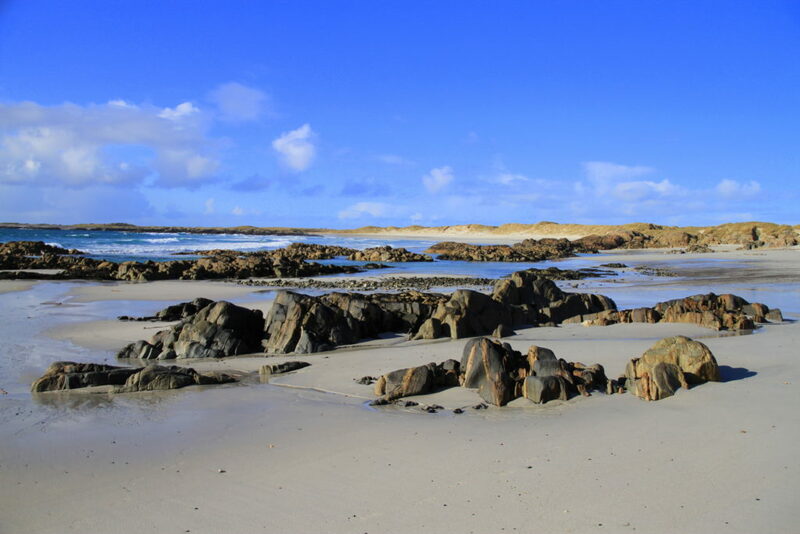 Tiree offers not only a fabulous holiday destination, but a wonderful lifestyle for our residents. Young families in particular benefit from a safe environment and plenty of opportunities to get outdoors. This is The Maze beach. We are a small island of less than 80km². Only 650 people live here year-round. Yet, in 2017, more than 27,000 people chose to visit Tiree. The number of guests welcomed grows annually; having increased by more than 60% since 2002. While guests play a vital role in supporting our rural economy and way of life, it is clear that increasing vehicle pressure must be carefully managed to safeguard our landscape. 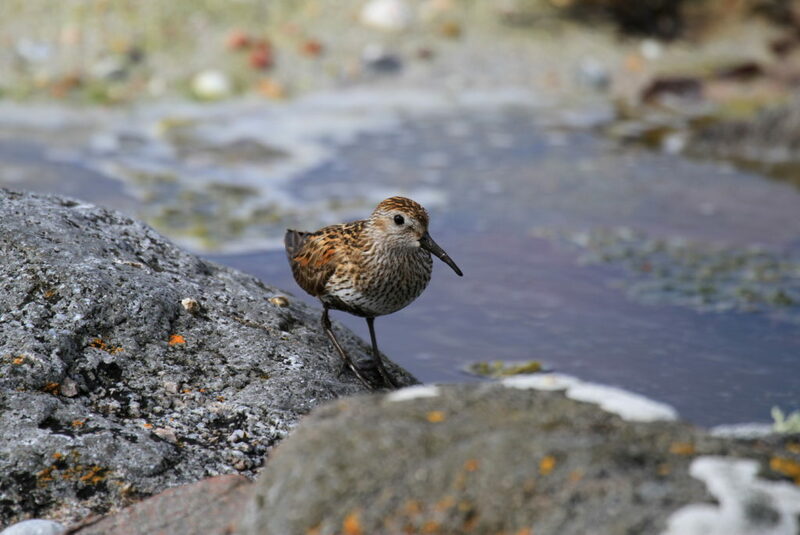 Dunlin are among the many ground-nesting birds that raise their tiny, vulnerable chicks in our machair. Tiree’s slender profile creates its most unique and spectacular habitat: machair plains. These are large expanses of fragrant flowers, growing in a special sandy soil created as shell fragments blow inland from the beaches. 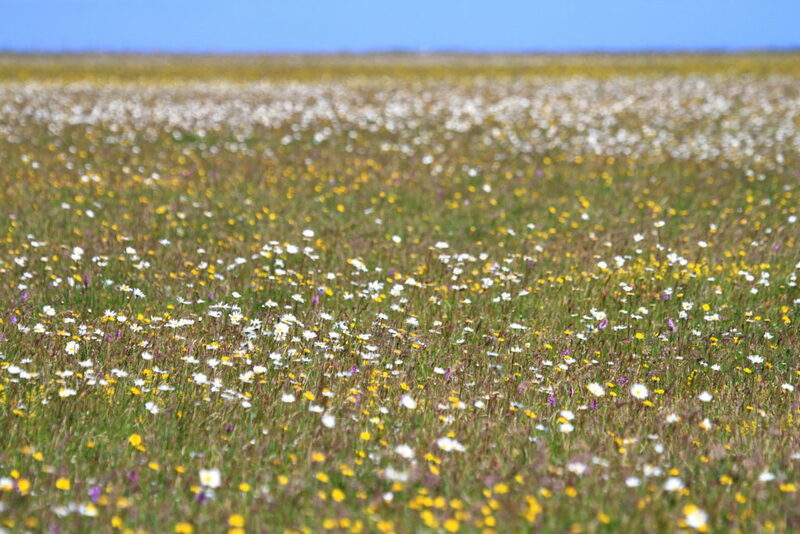 As well as providing vital winter grazing for our crofting community, Tiree’s machair supports an incredible diversity of threatened plant, invertebrate and bird life. However, because this system is so delicate, it is rapidly eroded by the passage of vehicles. RSPB The Reef: one of Tiree’s most heavily protected and biodiverse areas (note that this reserve is not publicly accessible due to the proximity of Tiree’s airfield). Implementing a series of signed beach parking areas for daytime use has mitigated damage to grazings and vulnerable ground-nesting birds (such as Skylark, Redshank and Lapwing). Nevertheless, directing vehicle users to these approved areas concentrates vehicular activity; leading to erosion and sand-blow as the thin layer of surface vegetation wears away. Under increasing vehicle pressure, efforts to patch-repair these parking areas have proved unsustainable. Tiree Ranger Service leading a volunteer workparty at Balevullin Bay parking area. The brown patches are filled erosion holes. While the repairs certainly helped, they were unable to withstand the high level of use at this site. Unfortunately, within 12-months, the above repairs failed. The surface vegetation was not able to recover, and the new material was loosened by turning wheels. Tiree prides itself on not charging for daytime parking at our beaches, and for resisting the use of incongruous ‘hard engineering’ in our breathtaking countryside. However, the cost of work to sensitively improve and reinforce parking areas exceeds the financial capacity of our 650-member rural community. Dune and machair systems present a complex and mobile environment: high specifications are required, and it is costly to undertake works in such a remote location. 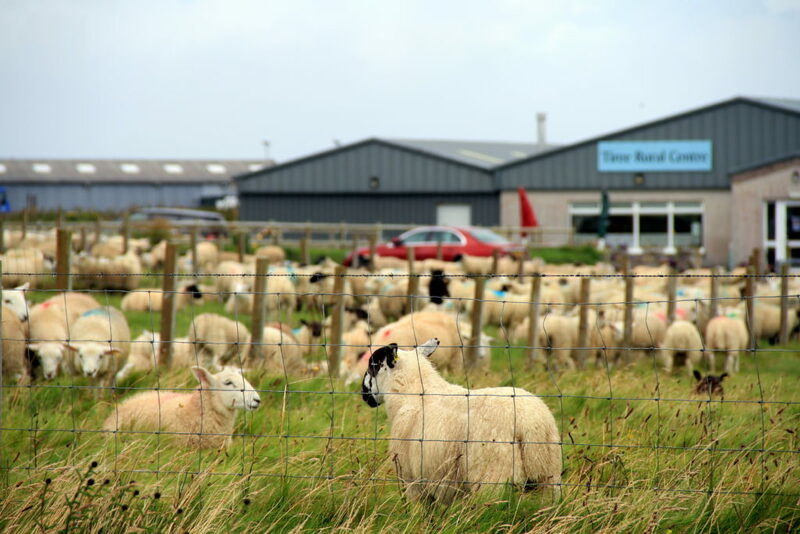 For over ten years, the Tiree Access Forum, Tiree Rural Development and latterly Tiree Community Development Trust have been liaising with key user and stakeholder groups. 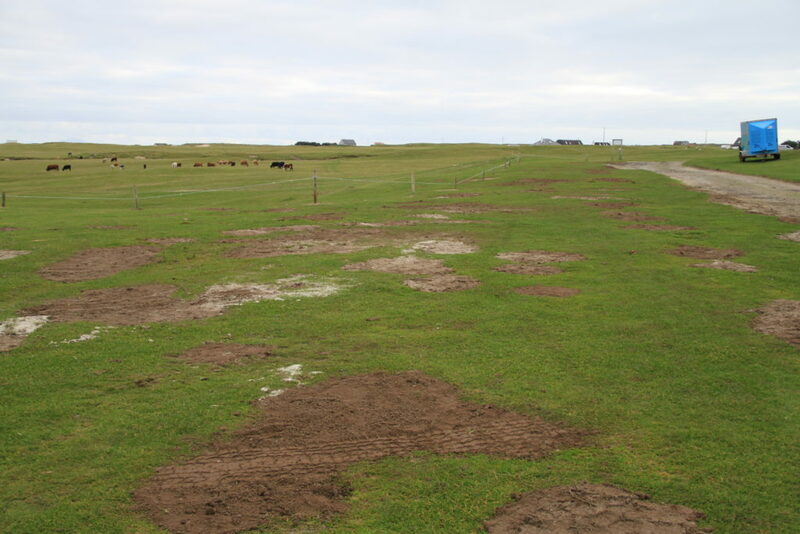 The public Tiree Access Infrastructure Consultation in 2011 formed a key part of this; after which, grant sourcing to implement the report’s recommendations commenced. Not all sources of funding are appropriate to this kind of work, and many grant providers are not large enough to cover a sufficient proportion of project costs – so this has been a lengthy and complicated journey. 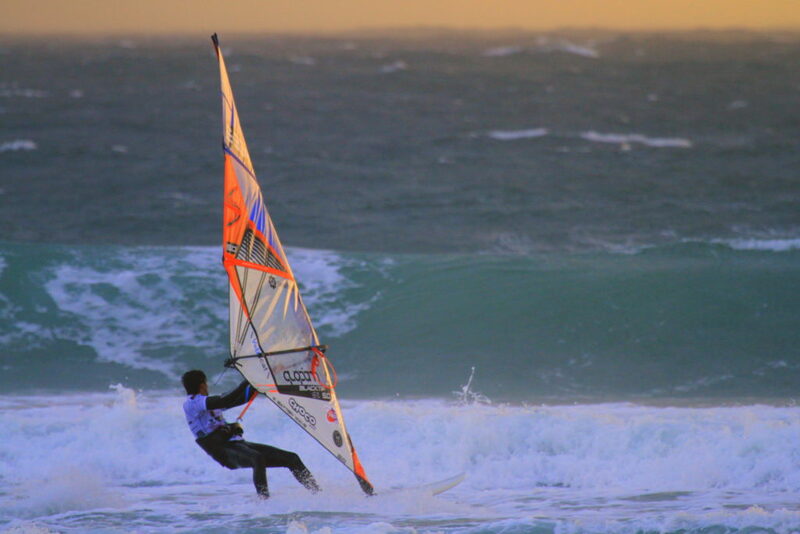 Tiree Wave Classic is the longest running professional windsurfing event in the world! The event provides a welcome economic boost during Autumn; in addition to supporting the extension of the Summer ferry timetable into October. Here’s Marc Paré (2018 Men’s Pro Champion) at The Maze beach, heading out for his final run against Adam Lewis. Around 250 competitors, event personnel and spectators attend each year – all of whom require parking and beach access. Our current proposals include low-impact improvements to parking areas at Balevullin Bay and Greenhill (access point for The Maze beach) using geotextile; in addition to the formation of a new permanent parking area for Crossapol Bay and an extension to the car park at The Island Centre. This latter will accommodate guests engaging with Tiree Ranger Service for Croft Camping bookings or more general information. Capacity for 95 reinforced daytime parking spaces will be provided; though in line with our ‘keep things looking natural’ approach, these will not be delineated on site. The parking areas on Common Grazings will still be grassed (it grows through the geotextile), and will still be accessible to our livestock when not in use. Damage to Common Grazings makes livestock production less cost effective. Additional feed is extremely expensive for our crofters to import, so the winter grazing provided by our machair is vital. This ground is then rested during the summer, which is why it can appear ‘unused’. Geotextile is essentially a plastic matrix that protects grass rhizomes from damage through soil compaction by vehicles. This will guard against vegetation die-off, and act to stabilise the fragile sandy soil below. Once the chosen sites have recovered from initial groundworks, their appearance should be very similar to present – except that the parking areas will be level and fully reinforced against erosion. Balevullin Bay is the busiest visitor location on Tiree. The parking area sees heavy use throughout Summer and well into the Autumn watersports season. Unfortunately, patch repairs have not withstood this heavy vehicle pressure. Photograph: with thanks to Richard Whitson. The final project design has not yet gone to tender; but we anticipate £200 – £250K will be required for completion. In 2018, we received a conditional offer from a major funder to cover 60% of the total amount (and this funder has now agreed to increase their percentage intervention). This brings the number of funding partners for this project to seven; all of whom we are exceedingly grateful to. The process of filling in large applications is always arduous. But the background work in securing agreement between multiple stakeholders, producing designs and going through the planning process is sprinkled with countless pitfalls. Andy Wright (of Tiree Community Development Trust) and I have borne the brunt of this: I think it’s fair to say it’s taken a toll on us both. The time commitment alone has been massive; and this has added significantly to the normal workload of Tiree Ranger Service. It has taken 12-months of tireless struggling, against tight deadlines and numerous stumbling blocks, to reach our current position. If this project is to proceed, we still face a significant funding gap. Argyll and Bute Council are both active supporters and funders of this project; however, in common with so many councils nationally, they are under considerable financial pressure. Andy and I are approaching our existing project partners to request further support; however, any remaining shortfall will have to be bridged by community funds. Our island home is celebrated for its sublime shell-sand coastline. We want our guests to experience the exhilaration of Tiree’s wild Atlantic shores, and to feel the positive influence that time with nature has on our health and sense of wellbeing. 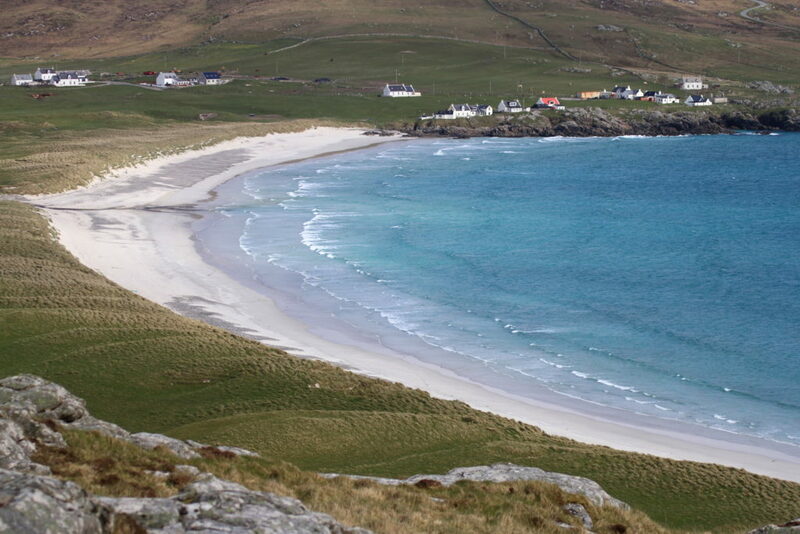 But beach access must not be offered to the detriment of our crofting sector or our unique biodiversity. Sale Day at Tiree Rural Centre. Traditional agriculture is at the heart of our community, our landscape and our conservation efforts. 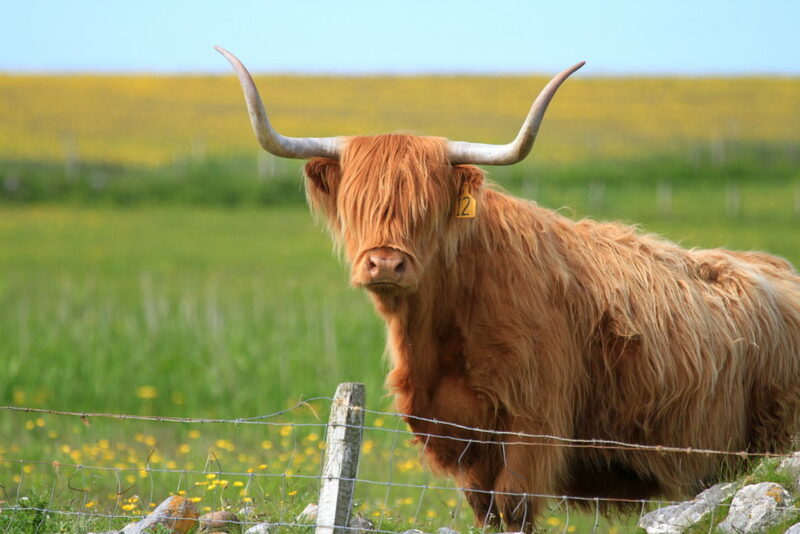 Tiree’s animals are well known for their quality; being in demand on the mainland. 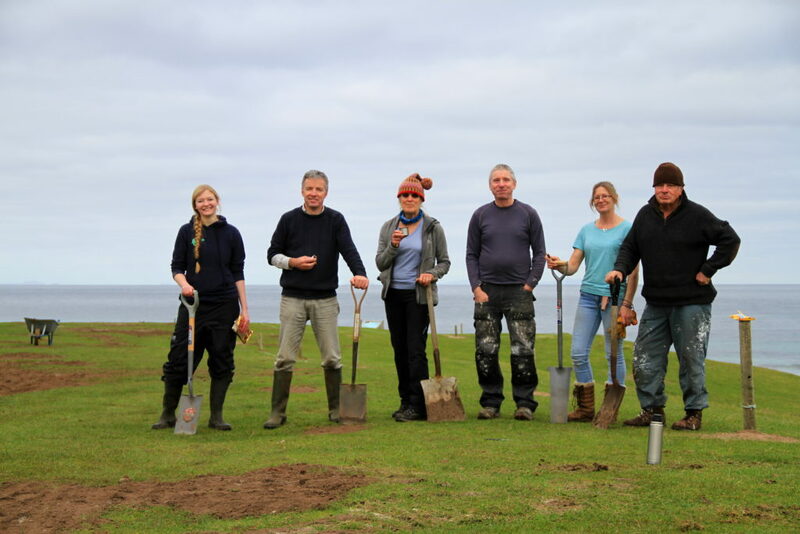 If any island guests (or indeed other well-wishers) would like to support our endeavours to make access both better and more sustainable, Tiree Community Development Trust will shortly be launching a crowdfunding campaign. Tiree Ranger Service has listened to feedback from beach users regarding access. I hope those who have commented on its limitations will appreciate the considerable effort, and huge expense, required to implement sustainable solutions. We know that access needs to improve across the island, and are we genuinely trying our best to make that happen. Tiree’s community seeks always to meet the needs of our valued guests, but we cannot bear the cost of this alone. Balephuil Bay, the township of Balephuil, and West Hynish. You can see how the soft shell sand blows inland over the dunes, to form the Balephuil/Barrapol machair.